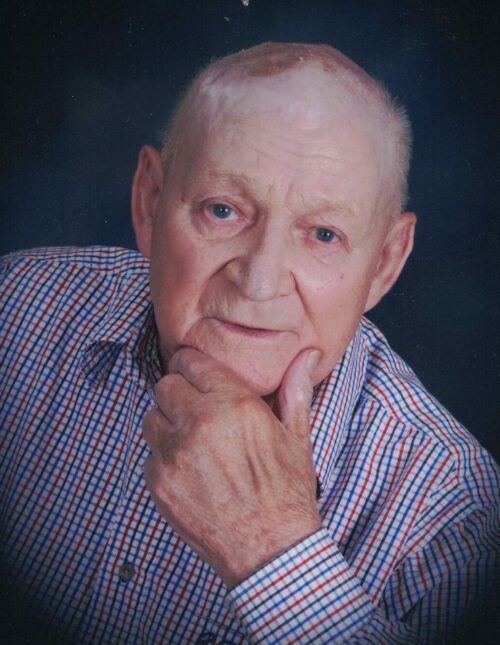 Marvin A. Gonitzke, 96, left this earth to be with his heavenly Father on Tuesday, April 2, 2019 at Dove Healthcare in Osseo. Marvin was born to Carl and Olga (Zimmerman) Gonitzke on August 11, 1922 in the Town of Washington. He was a lifelong member of Zion Lutheran Church in Cleghorn, WI. Marvin is survived by his sister-in-law, Esther Gonitzke of Osseo, WI; nephew, David (Joanne) Gonitzke of Rockford, IL; niece, Susan (Jeff) Smith of Augusta, WI; great niece, Jennifer Dooley of Long Beach, CA; two great nephews, Matthew Gonitzke of Wichita, KS and Lyman Smith of Eau Claire, WI. Marvin was preceded in death by his parents; brother, Edwin Gonitzke; sister, Lavina Nelson; and niece, Yvonne Dooley. The family would like to give a special thank you to Ed Olson of Strum, WI, for all of his help and friendship through the years, and to the entire staff at Dove Nursing Home in Osseo and Heartland Hospice in Eau Claire for the loving care Marvin received while he was there. A Funeral Service will be held at Zion Lutheran Church (3720 Highway HH, Eleva) on Saturday, April 6, 2019 at 11:00 am with Rev. Timothy Moe officiating. Visitation will be held one hour prior to service at church. Burial will take place at Zion Lutheran Church Cemetery. Family and friends may leave online condolences at www.smithfuneralec.com. I did not know Marvin Gonitzke personally but know that he was a cousin to my mother, Elvira (Gonitzke) Bain. (Her father was Gustav Gonitzke.) Elvira passed away 5 1/2 years ago and was close in age to Marvin. When she was able, (through age 84) she often visited Marvin and would tell me how he rode his bicycle all around town (Osseo??) Marvin was capable and inventive in many things and built an airplane, which he flew, among many other things he could do. I believe Marvin was one of the last of their generation to live that long. Mother’s youngest sister, Arlene (Lauterbach), still survives, she will be 89 this month, and currently resides in Dove West in Eau Claire. Marv was a family friend and neighbor many years ago. I worked on their farm as a kid and had the pleasure to have rides and a couple trips on his classic 1943 Stimsom plane. He was an excellent pilot, and a wonderful sharing person as was his mother Olga. My sincere condolences to his family. I knew Marvin from early childhood because he was a good Flying friend of my dad Don Heath Who will be 91 this month and is in good health . He still flies with his buddies in Strum, Wi. I remember many dusky evenings sitting and listening to my dad talk with Marvin at the hanger along with Vern Mertinke. I will never forget Marv’s gentle voice and soft accent! My dad and I went to visit Marv after his fire a few years ago and it was so good to see him and share stories . God bless his memory among us!